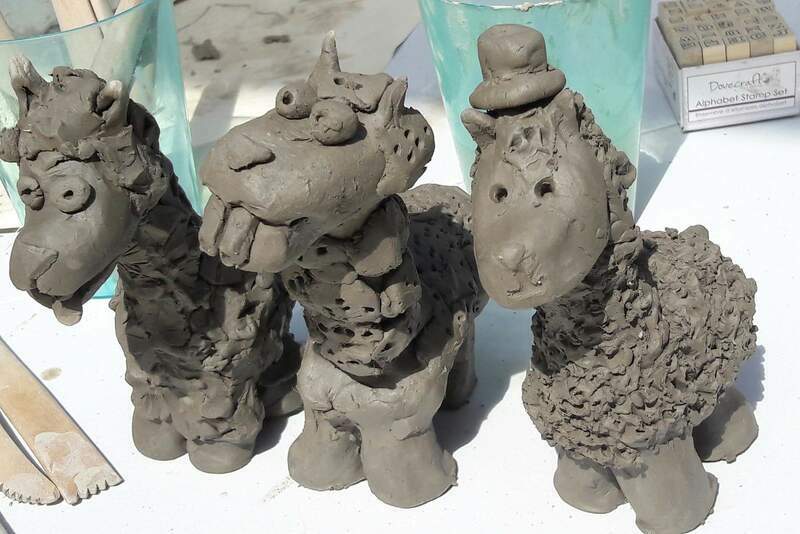 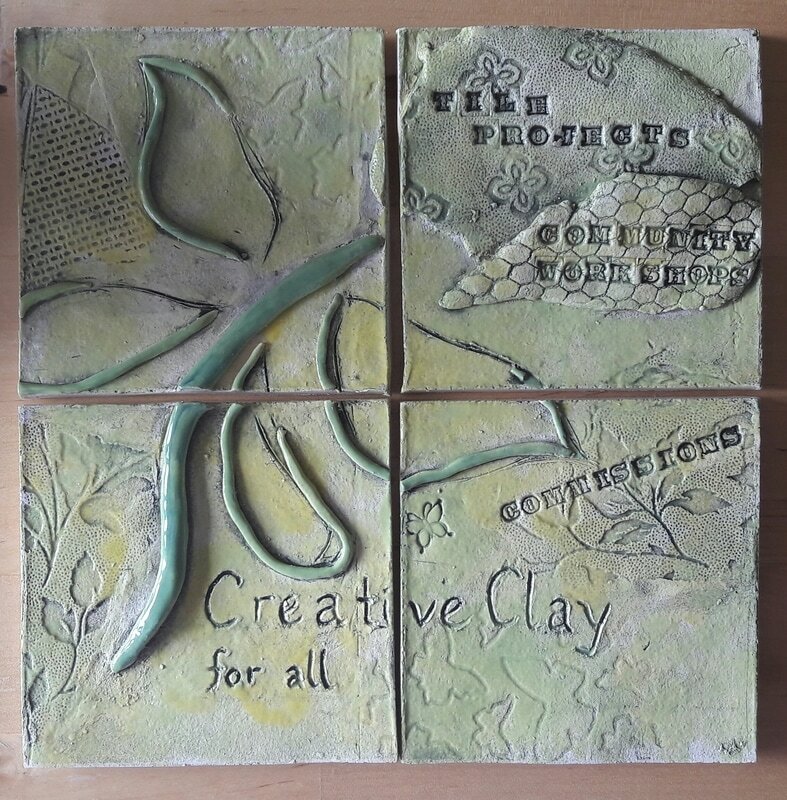 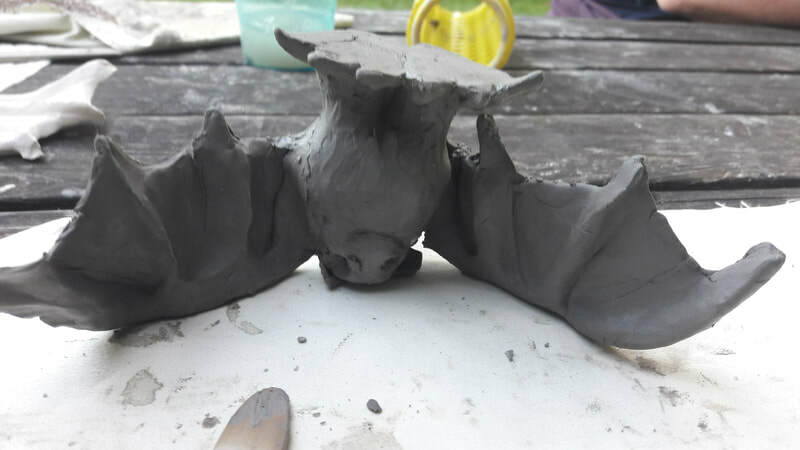 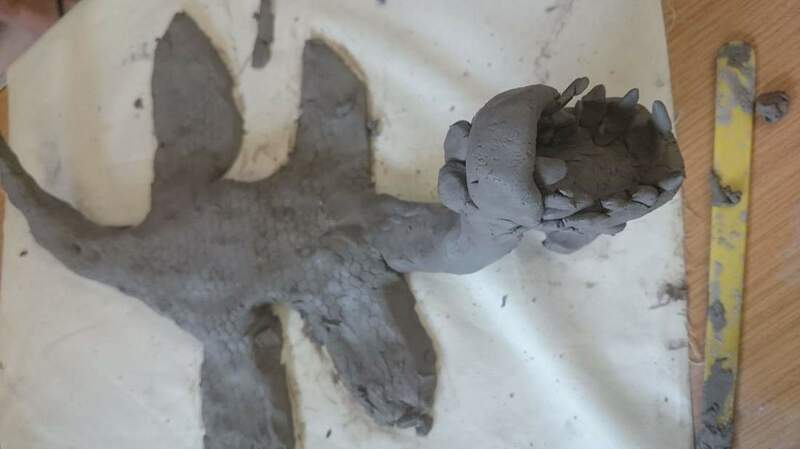 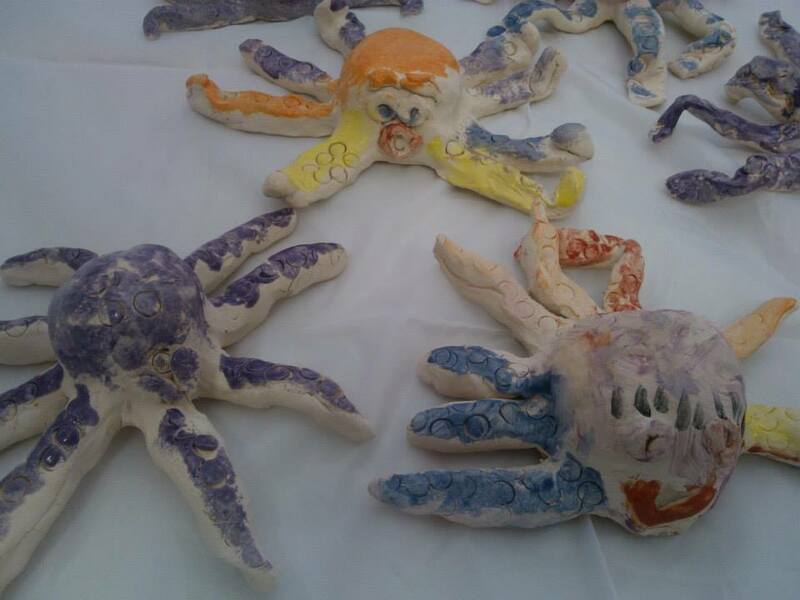 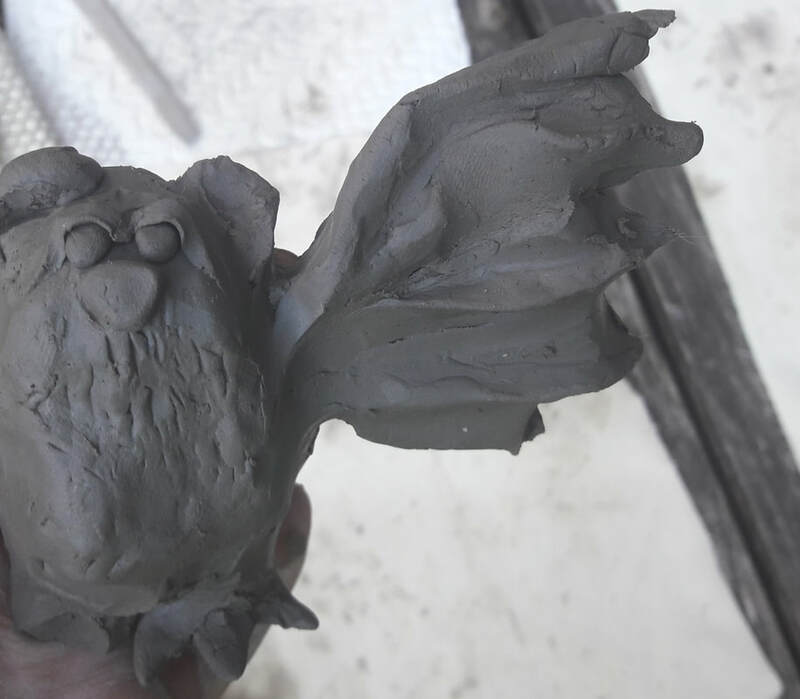 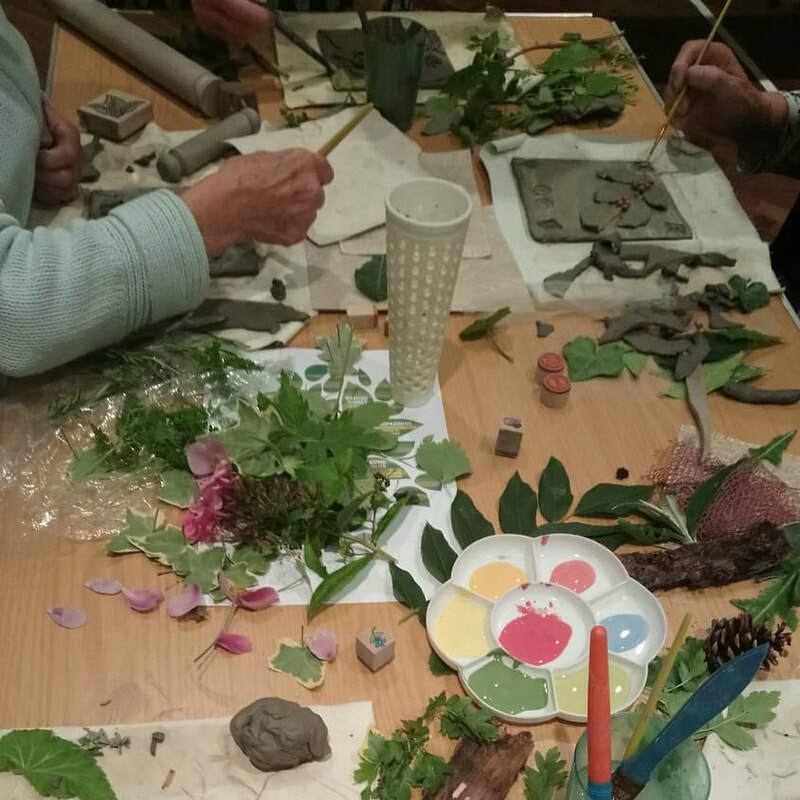 Have you got a community group that would like to access clay. 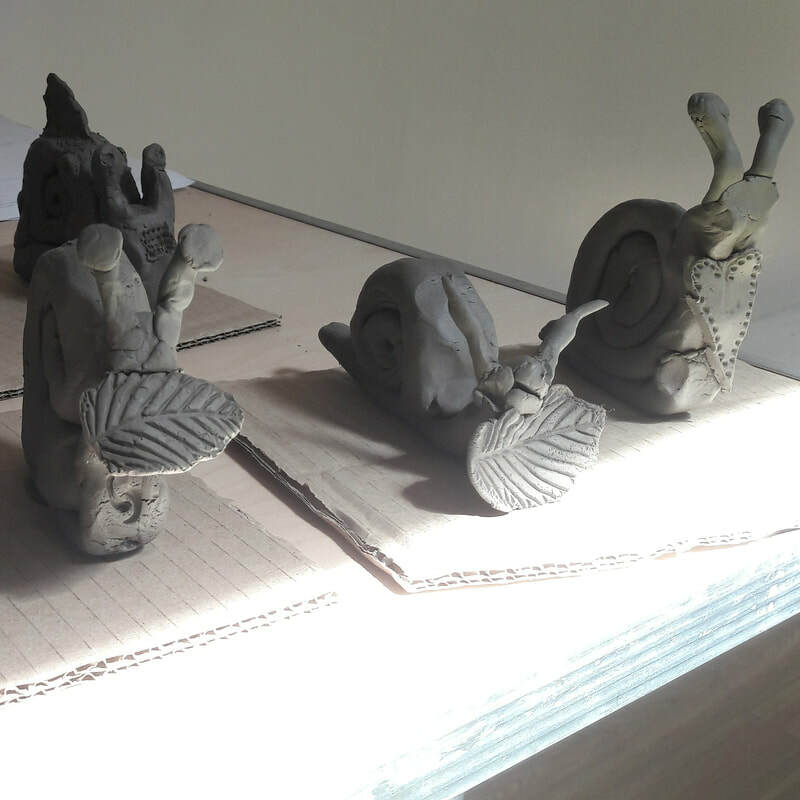 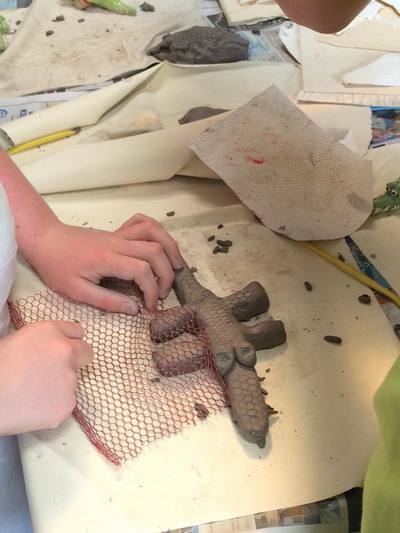 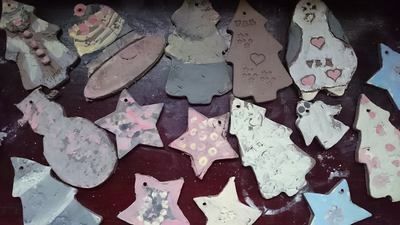 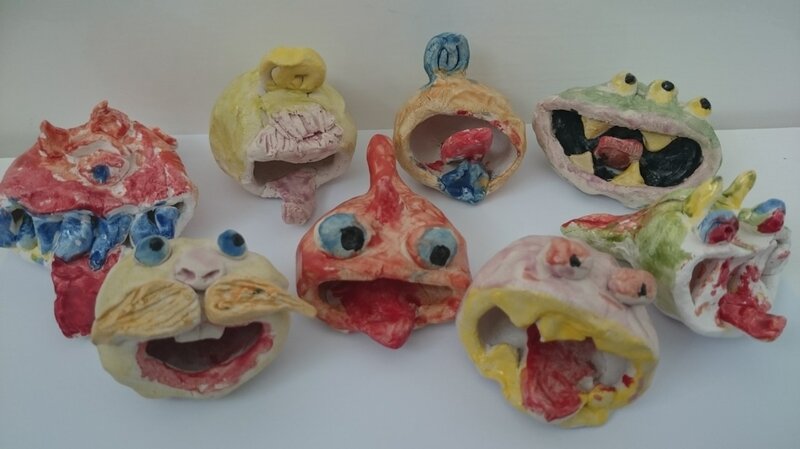 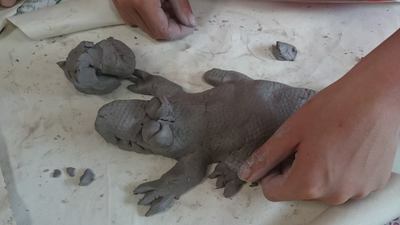 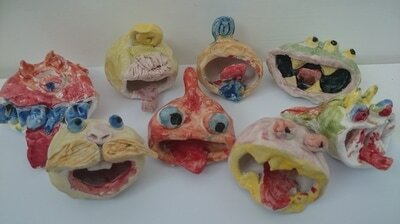 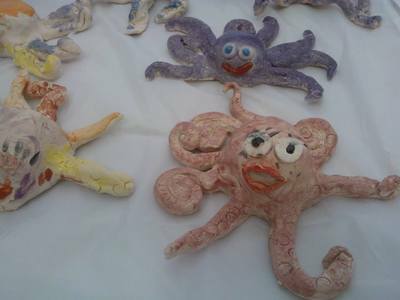 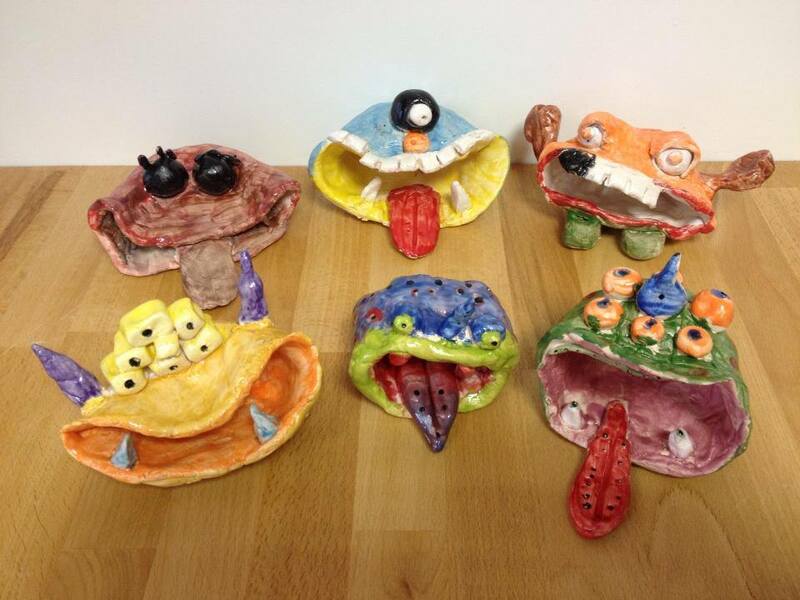 The workshops are tailor made to age and ability and the clay is taken away, kiln fired and returned a few weeks later. 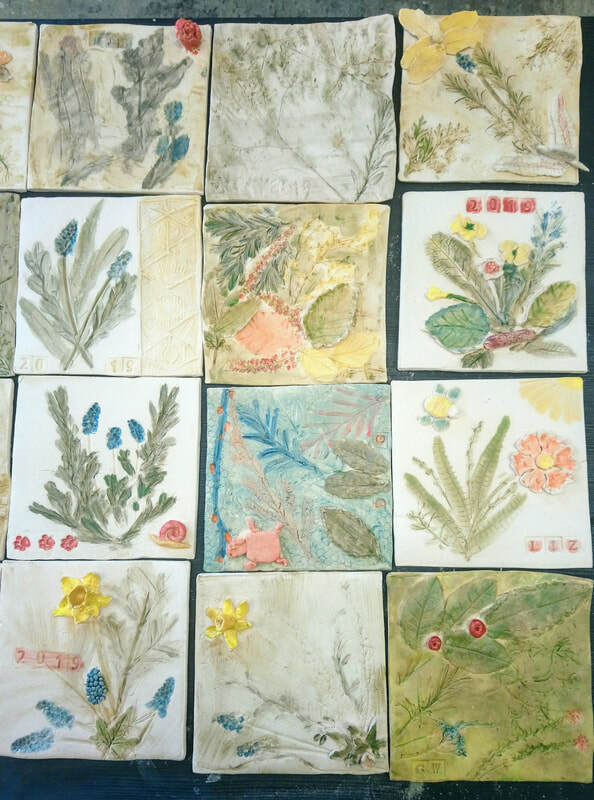 In 2018 I became a recommended speaker for the Women's Institute. 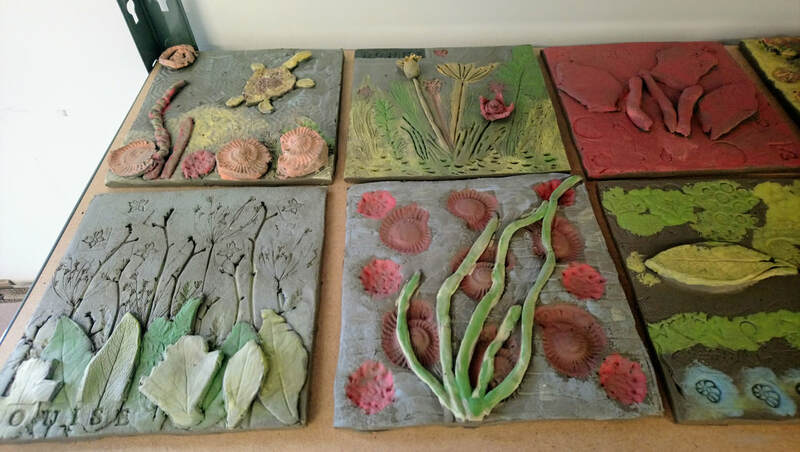 I can be booked to give talks and demonstrations to groups on a range of clay techniques, but I prefer to bring clay for you to have a go. 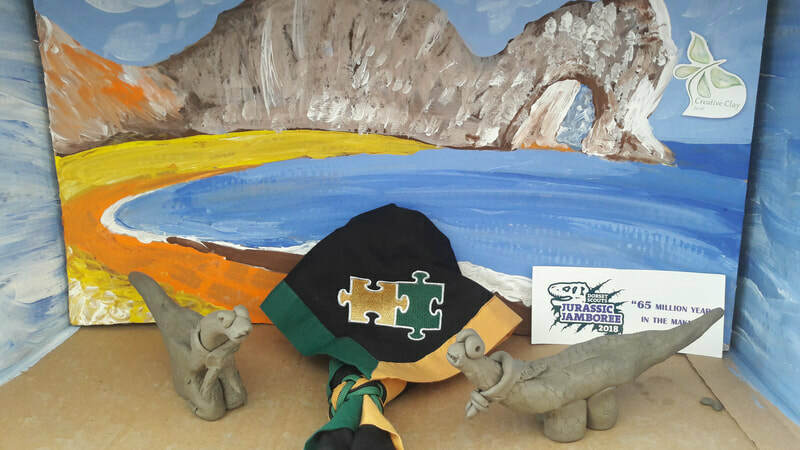 Community group work can be with a small group of 8 up to a large event for example a scouting jamboree of over 1000! 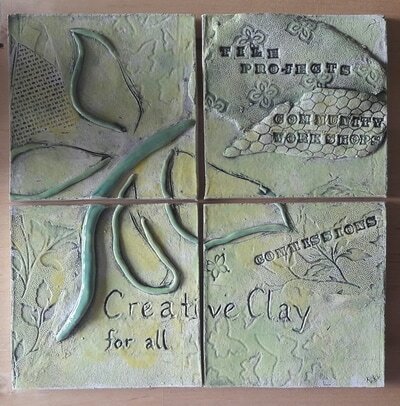 Pictures above show previous community workshops. 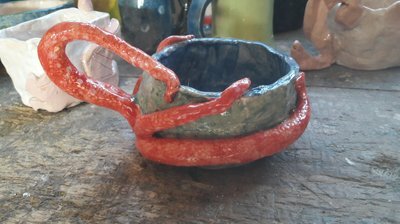 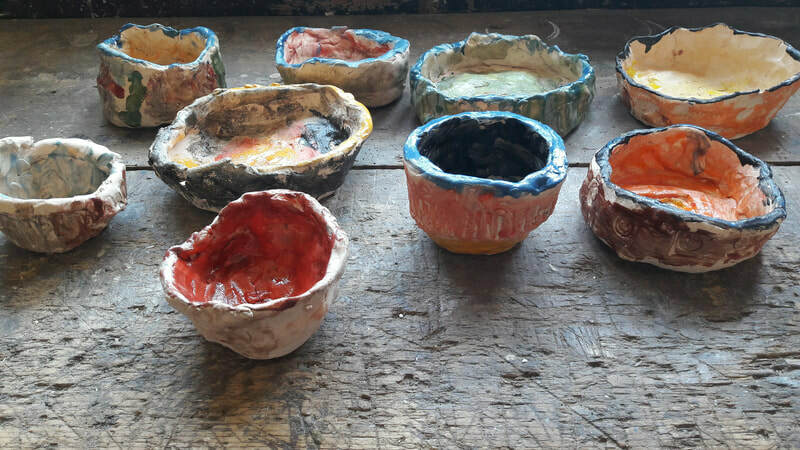 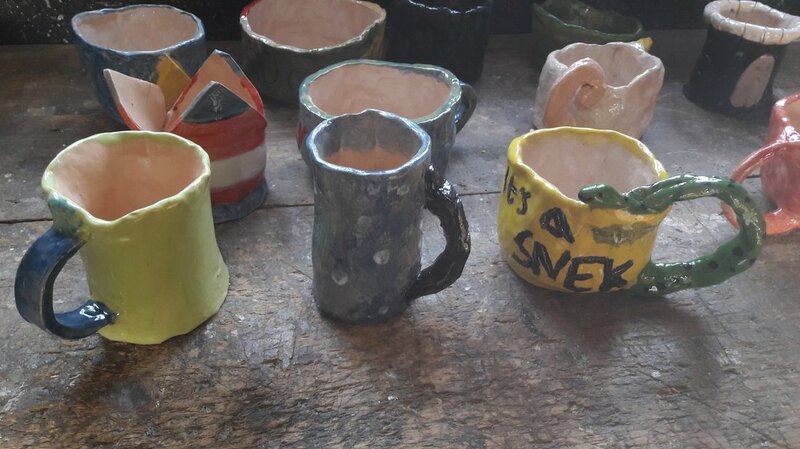 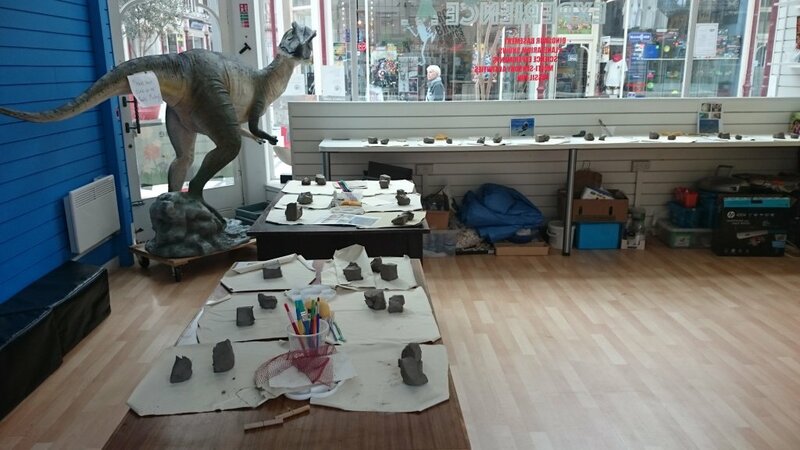 Included are mugs from a workshop with a youth community group in Poole and pinch pot heads made with a kids holiday club, 'Creative Kids'. 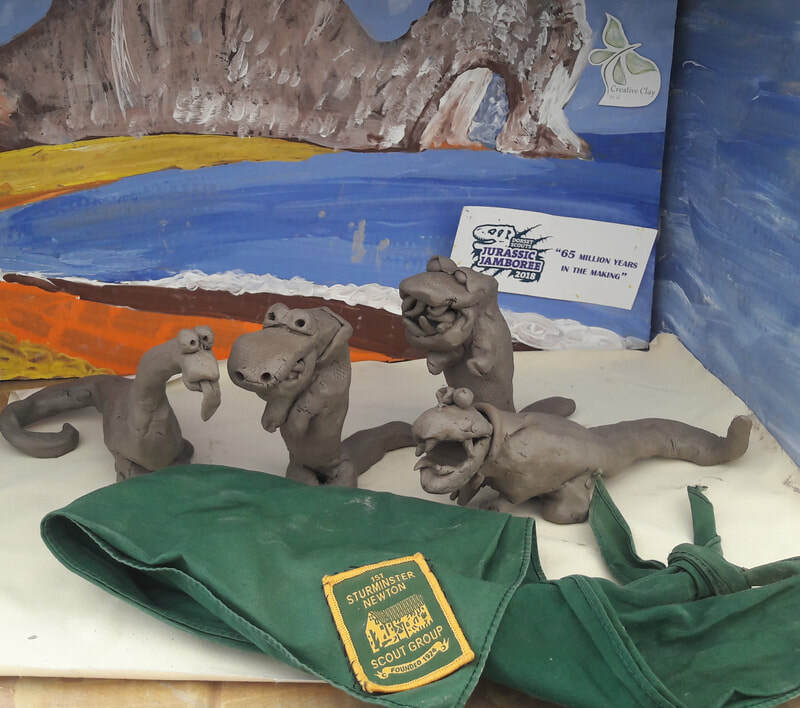 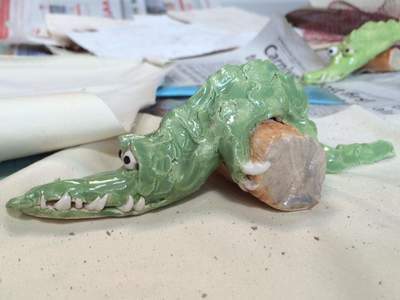 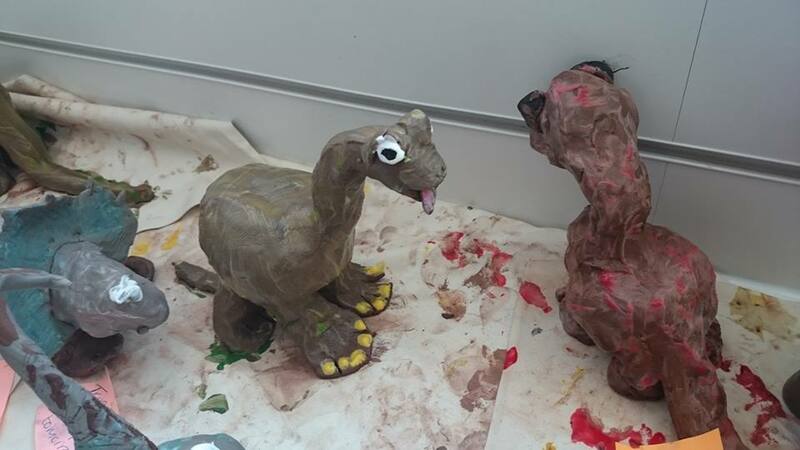 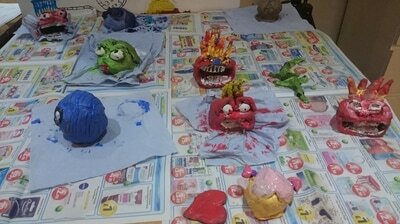 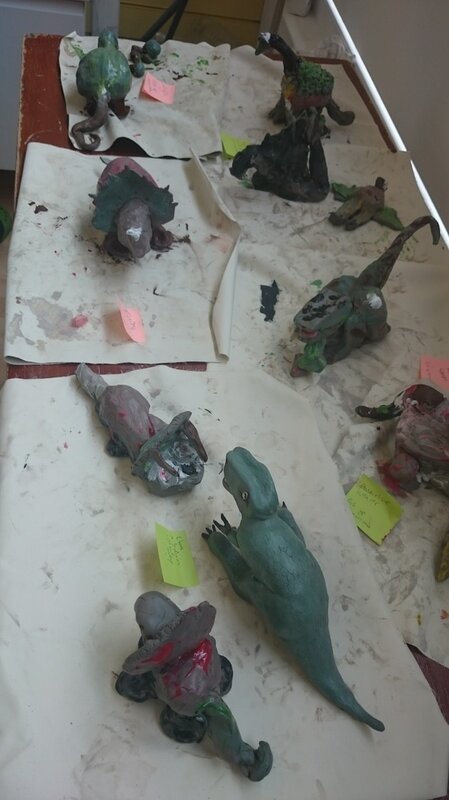 The crocodiles were made at Puddletown library during the summer reading challenge inspired by Roald Dahl's The Enormous Crocodile. 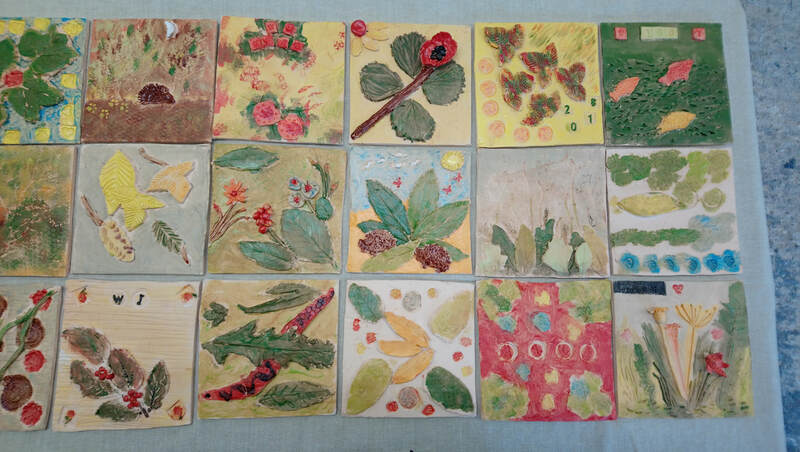 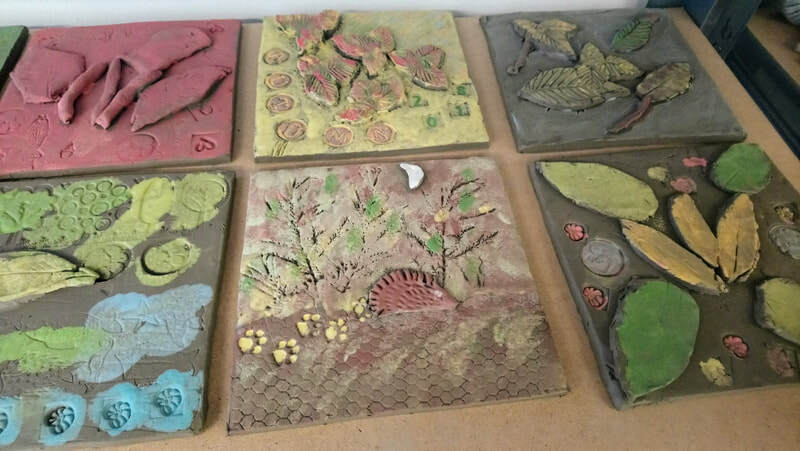 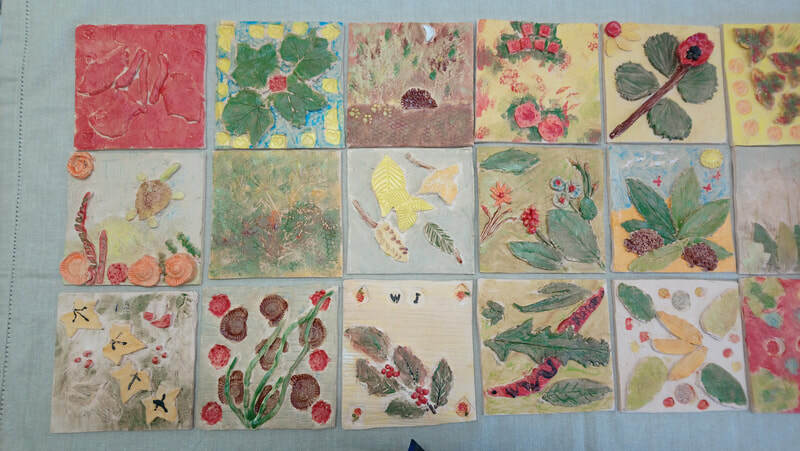 Botanical tiles made by a W.I. 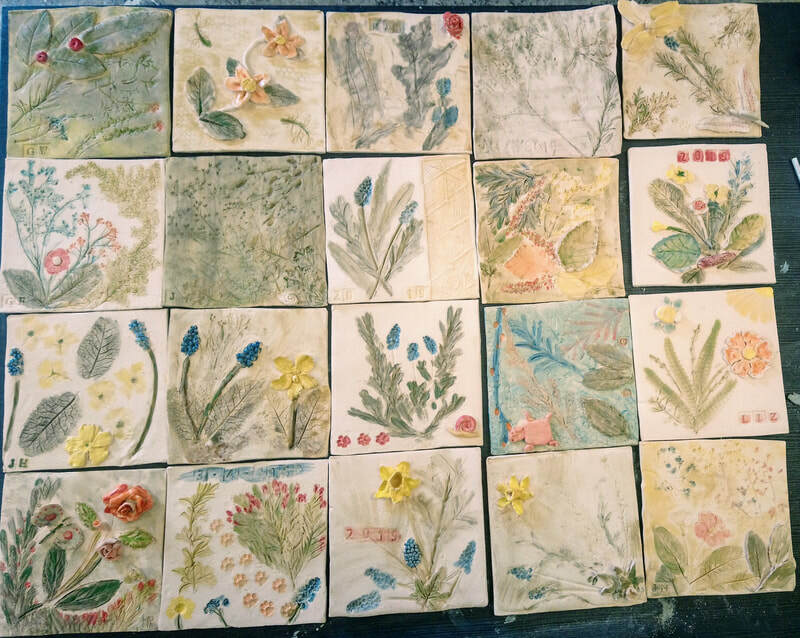 To celebrate the groups centenery. 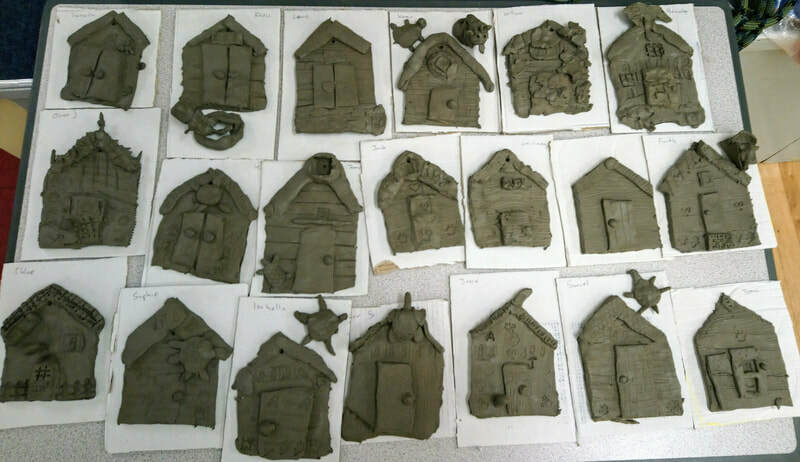 Images of beach huts are from a Beaver and Cub group making Mother's day presents.